Solid Philipine Mahogany aircraft models, hand carved and painded by skilled artists. They are presented on handsome mahogany bases and are the finest available today. 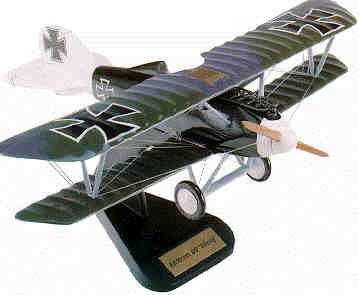 We carry hundreds of different models from all aviation eras. If you are looking for a model that is not displayed here, just ask for it...we probably carry it. Scale: 1/20 W/S: 15 3/4" L: 12 1/4"
Scale: 1/24 W/S: 12" L: 9 3/4". Scale: 1/20 W/S: 17" L: 11 1/4"
Scale: 1/20 W/S: 17 3/4" L: 14 1/2"
Scale: 1/23 W/S: 14" L: 12"
Scale: 1/20 W/S: 17 3/4" L: 14 5/8"
Scale: 1/20 W/S: 18 1/8" L: 12 1/4"